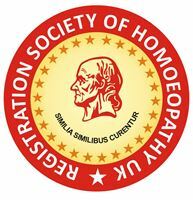 Greetings from the Registration Society of Homoeopathy, United Kingdom. The RSH UK is a not-for-profit, registered, international organization for the promotion and support of homoeopathy through various channels. RSH UK is run by pioneer homoeopaths and professionals who believe in serving society and homoeopathy. The society represents as a professional and ethical body to recognize and regulate the professional standards of its members by virtue of Elite Memberships (Student, Annual, Lifetime, and Fellowship) and Continued Medical Education. Since inception, we have been involved in the Promotion of Homoeopathy which is evident from the fact that till date we have organized Eight Homeopathic Camps at various location in the UK such as East London (Barking), Southall, Hayes, Neasden etc. To best of our knowledge camps on such a large scale have been organized for the first time. You may learn more about them www.rshuk.com. The RSH UK has been able to open Two Charity Homoeopathic Clinics (one each in East and West London) where our registered members are deputed to take care of the patients, and provide state of the art consultation. We have also been successful in organizing an Open Homoeopathic Session in January 2018 which was well appreciated by the community as a whole. But this is not the everything we do. We work in close association with individuals and other organization for the promotion of homoeopathy and health. We invite you to be a part of our growing family of Professional and Medical Homoeopaths. We believe that "Together We Can" and "Together We Will!" PS: We believe in saving our Environment, therefore, a major part of the Membership Process is completely ONLINE!